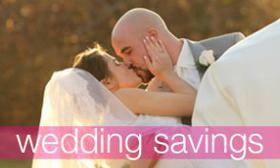 If you are planning your wedding for next year, you are in luck! 2018 trends will be contemporary, dramatic and unique. We are always looking for new ideas for the brides & grooms if and when they they are in need of any advice for their reception décor. 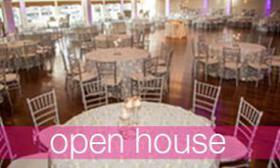 We have picked a few of the trends that we think will look great and will work well at at the Canoe Club Ballroom! In recent years we have seen beautiful lush, soft flowers with lots of greenery. This year we are absolutely thrilled to see the wave of moody blooms coming into play! A huge trend for 2018 is dark, detailed, textured floral arrangements! The more dramatic the better! Hues that are projected are in the purple family, including lilac, lavender, mauve, and wine! This trend has gained major popularity in last six to eight months we have noticed. Who doesn’t love a beautiful candle centerpiece? 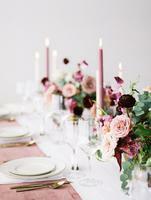 What better way to exude vintage romance to your big day than colored candles? Instead of the standard ivory or white candle, couples are adding a splash of color to their tablesscape, or scattered throughout the venue to add an unexpected pop of color! With the fashion industry leading the way, brides are choosing textured linens for their big day. We love the idea of a white or ivory linen with a really cool overlay with a laser cut details, or one with a little sparkle! Texture is going to be huge in the upcoming year! This has been an up and coming trend for the past few years, we don't see many bridal partires in the double digits anymore. 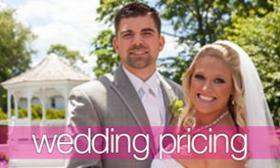 Brides are choosing smaller parties that include one to three bridesmaids.